What do these videos tell us about Climate Denial? The idea of “liberty” propagated by entities like the Heartland Institute and the Competitive Enterprise Institute is not the same as that espoused by the founding Fathers – who were thinking of thought, speech, religion, philosophy, assembly etc. For the modern so-called conservatives, who would have horrified the likes of Jefferson and Franklin — “freedom” is defined as selfishness, egoism, and narrow self interest with no regard whatever for other human beings, much less living systems, other living creatures, or even our own children. Is this view of life so attractive that it is insurmountable? I offer it up as a springboard for discussion. See what you think. TOKYO — A senior nuclear adviser to Japanese Prime Minister Naoto Kan submitted his resignation on Friday, saying the government had ignored his advice and failed to follow the law. The Tokyo University professor stated the government had ignored not only his advice, but the law, in dealing with the catastrophe. Tokyo officials had drafted measures to deal with the accident that were not in strict accordance with the law, and the decision-making process had been unclear, he said. “There is no point for me to be here,” as the Kan administration had failed to listen to him, said Kosako, an expert on radiation safety. 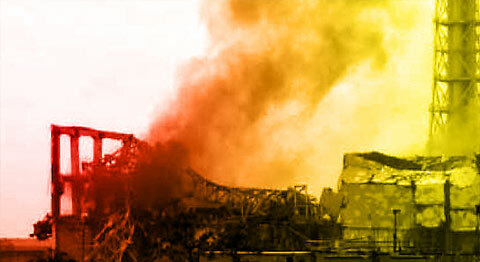 TOKYO—A special advisor to the Japanese government on radiation safety resigned Friday, saying that he was dissatisfied with the handling of the ongoing crisis at the Fukushima Daiichi nuclear power plant. Toshiso Kosako, a professor at the prestigious University of Tokyo, said at a news conference that the prime minister’s office and agencies within the government “have ignored the laws and have only dealt with the problem at the moment.” Holding back tears, he said this approach would only prolong the crisis. If concern for their children and grandchildren doesn’t move your Aunt Teabag and Uncle Dittohead, perhaps arachnophobia will? Climate change may give America’s venomous brown recluse spiders a choice: Move to a more northern state or face dramatic losses in range and possible extinction, a new theoretical study suggests. Currently, brown recluse spiders are found in the interior of roughly the southeastern quarter of the continental United States. Researcher Erin Saupe used two ecological computer models to predict the extent of the spider’s range in 2020, 2050 and 2080 given the effects of global warming. “The actual amount of suitable habitat of the brown recluse doesn’t change dramatically in the future time slices, but what is changing is where that area is located,” according to one of the studies authors. 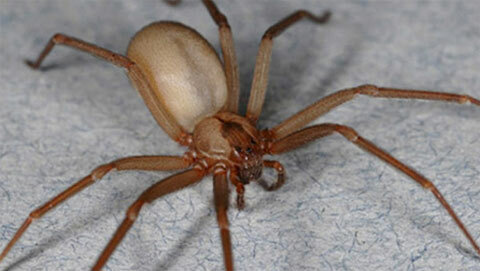 “In nature, brown recluses live underneath bark or logs in dry areas or underneath hanging rocks. But humans also create a good habitat for them in cellars, attics and garages,” the article stated. Their venom contains a toxin that causes skin to die, resulting in what are known as necrotic lesions. In about 90 percent of cases, the bite of a brown recluse has virtually no effect. The other 10 percent cause severe symptoms with potentially life-threatening complications. There are no solid statistics available, but Vetter estimates that one or two bite-induced deaths occur each year, typically in small children. No word yet on tarantulas, black widows, scorpions, snakes and lizards. Stay tuned. Because I-131 has no long-lived “parent” to “feed it” by parent decay, the levels of I-131 in scrammed reactors with intact geometry will decrease exponentially with an 8-day halflife, meaning that after 5 halflives (40 days) the I-131 levels are only 3% of what they were at scram. “Outlier” Unit 2 has I-131 levels roughly 20 times its levels of Cs-134/137. 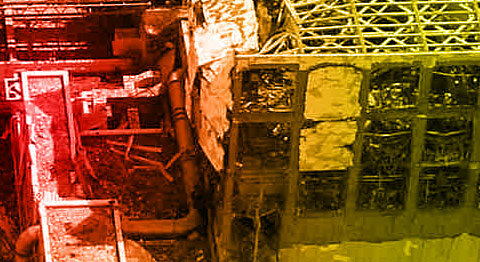 The only possible source of I-131 would be “pockets” of molten core in the Unit 2 RPV settled in such a way that the boron in the injected water is insufficient to stop the localized criticalities. At this business in rural Colorado, as in sophisticated, urban, Ann Arbor, Michigan – LED lighting is changing the math of energy demand, and looking very good while doing it. Just in the last few years as its technology advanced, LEDs are now used in real lighting such as traffic lights and brake lights/tail lights (take a look at those dotted brake lights in many of the new car models). 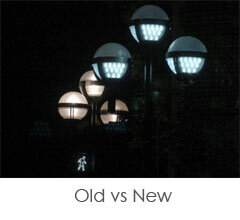 Unlike conventional light bulbs, LED lamps use less energy and are more efficient, safe, and durable. So far, LEDs still cost more upfront (just think about how much you pay for a LED flash light vs. a flash light with a standard light bulb). However, the energy savings in the long term can result in tremendous savings; not even mentioned is the reduction in CO2 emissions. Furthermore, with their directional light beams, LEDs used for outdoor lighting can reduce light pollution since we can direct more light to the streets rather than towards the sky! 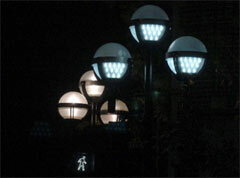 Ann Arbor’s first pilot project replaced all the “globe” street light bulbs in the downtown area. It is indeed a successful project. Per the City, the initial installation will save the City over $100,000 per year in energy costs and reduce annual greenhouse gas emissions by 267 tons of CO2. From the African plains to the mountains of the Himalayas, from the wilderness of Alaska to the South American jungle, it seems the world’s most exotic birds are increasingly visiting our Welsh shores. …. 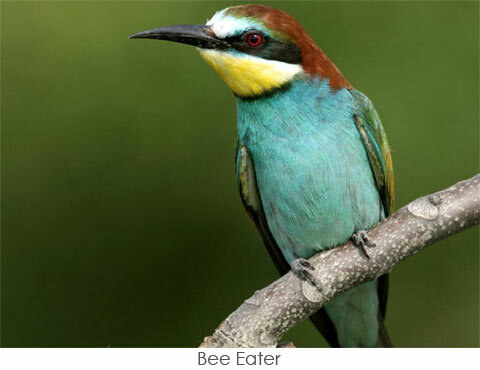 in the past 12 months African bee-eaters and purple herons have been seen in Anglesey, North American great white egrets in parts of the former Gwent and a stunning South American bobolink in St Davids, Pembrokeshire. The RSPB says that the growing trend has been partly caused by the deep winter freeze across northern Europe and Russia, which drove many exotic and unusual birds into Britain’s back gardens, combined with the fact that the warm springs of the last couple of years have seen migrating Mediterranean birds being attracted further north than usual.